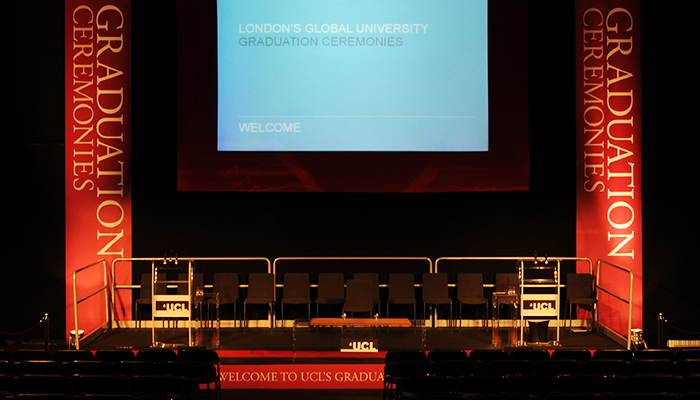 Every year, University College London honours its newest graduates with ceremonies held in Bedford Square Gardens, right in the heart of the city. 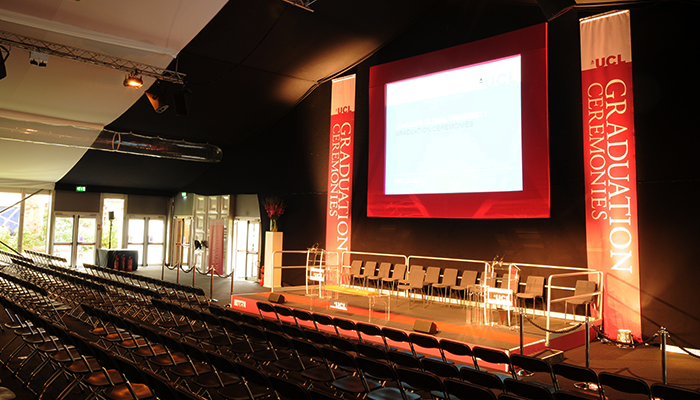 Event management company Oxygen Event Services Ltd manage the site from planning, logistics and health and safety, and hired EHP on a three year contract to oversee the construction of a tiered auditorium. To build a 1200-seater auditorium, temporarily installed for 9 days of graduation ceremonies, for a total of up to 20,000 people. Due to limited access into the square, all 280 steel-deck sections of the ten tiers and 1200 chairs had to be transported through a gated entrance just six feet wide. Efficient traffic management was also necessary for the unloading of three articulated lorries. The complete build took just twelve hours with a team of six to ensure that the framework was in place for any finishing touches. When EHP took over the contract, this process took two full days. Following our implementation of altered delivery sequences, the entire load and build time is now half what it was originally. 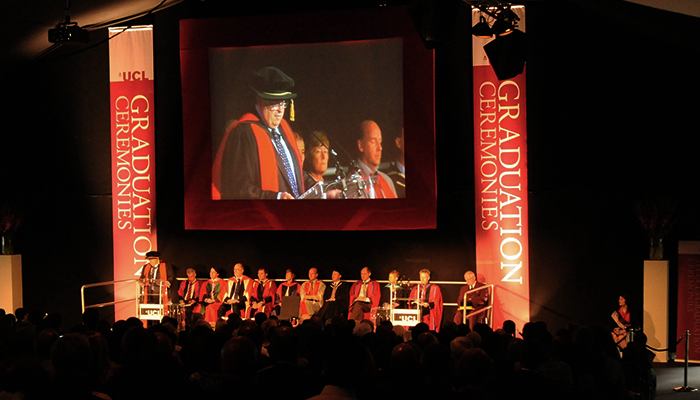 Event Hire Professionals Ltd (EHP) started out in 2008 in a Wandsworth garage, as a small-scale staging company. Back then, we had only ten stage decks and some truss to our name. Eight years on, we are now one of the largest staging companies in the country.